After six years of having Van’s Wild West Gallery in two locations, Van Caerndow is closing the gallery in about a week. 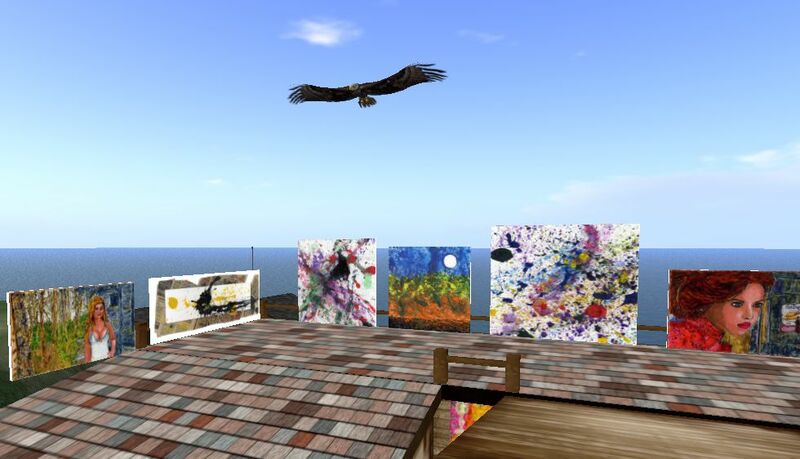 From the land description: “Van’s gallery featuring his SL portraits as well as other paintings, all painted in RL on glass. 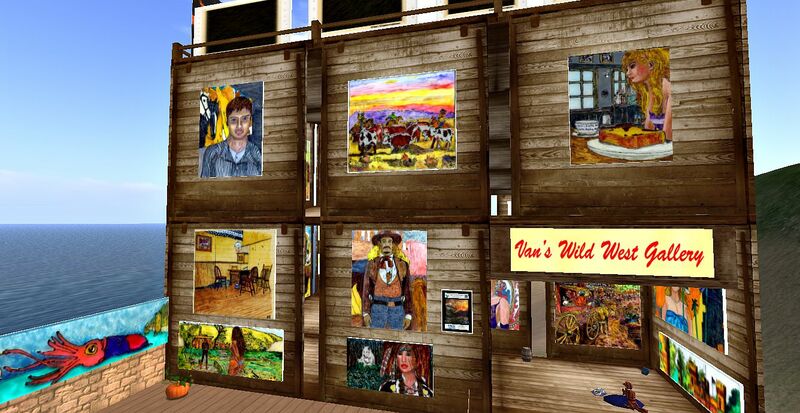 Art, Art Gallery, Art Galleries, artists, drawing, gallery, paintings, real life, real life artists, portraits, old west, sl, westerns, wild west” Van’s typist is the artist Phil Strang in First Life. 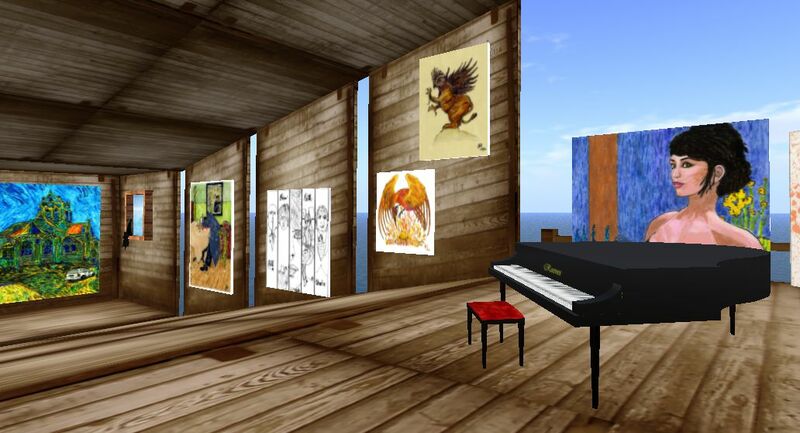 He has accepted commissions in both First and Second Life and will remain in SL but most of these paintings will go into inventory indefinitely. He has been referred to as the “the Cowboy Van Gogh” and most of his paintings are very colorful. 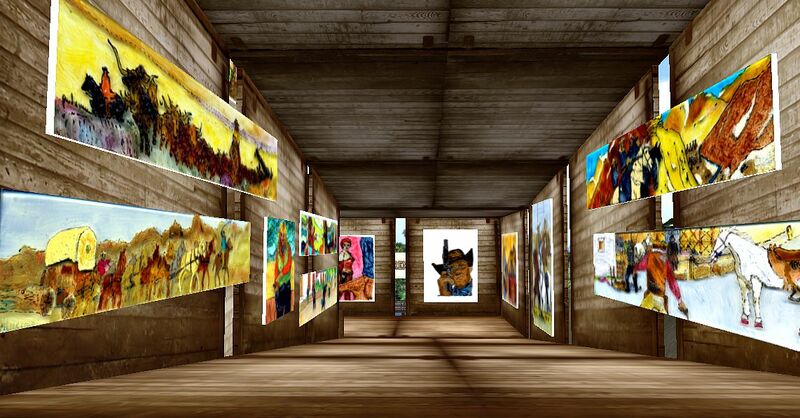 His subjects include western scenes, women, pets, avatar commissions and also some abstract and splatter paintings. The gallery is three or four stories tall. Underneath is a beach hangout area. Future shows will likely be new works. Van has a smaller gallery near the Virtual Chelsea Hotel. If you ever wish to commission a portrait, contact him.